Swan Lake (Russian: Лебединое озеро, Lebedinoye ozero) ballet, opus. 20, by Pyotr Tchaikovsky, was composed 1875–1876. 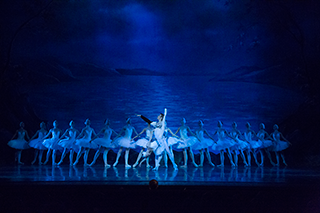 The scenario, initially in four acts, was fashioned from Russian folk tales and tells the story of Odette, a princess turned into a swan by an evil sorcerer's curse. The choreographer of the original production was Julius Reisinger. The ballet was premiered by the Bolshoi Ballet on March 4, 1877 at the Bolshoi Theatre in Moscow, billed as The Lake of the Swans. Although it is presented in many different versions, most ballet companies base their stagings both choreographically and musically on the 1895 revival of Marius Petipa and Lev Ivanov, first staged for the Imperial Ballet on January 15, 1895, at the Mariinsky Theatre in St. Petersburg. For this revival, Tchaikovsky's score was revised by the St. Petersburg Imperial Theatre's chief conductor and composer Riccardo Drigo. 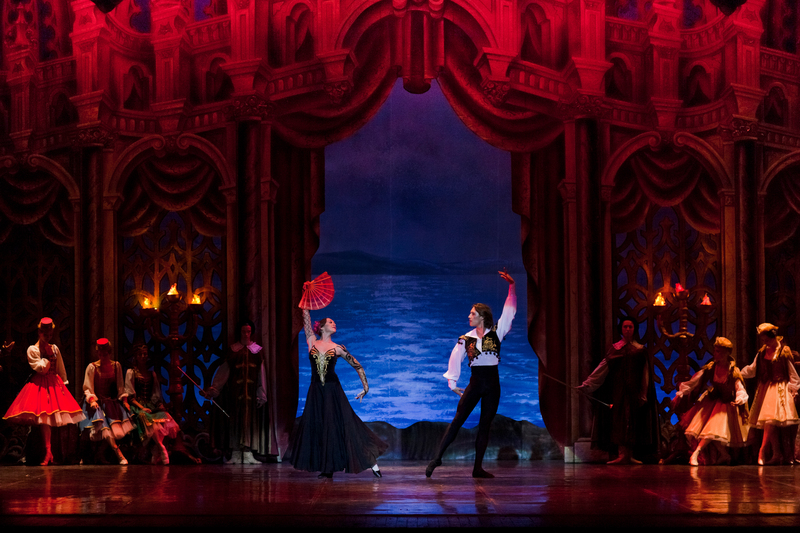 MOSCOW BALLET LA CLASSIQUE will perform their SWAN LAKE IN A DRAMATIC PRODUCTION OF THIS TIMELESS FAVOURITE SET TO TCHAIKOVSKY’S SUPERB SCORE. 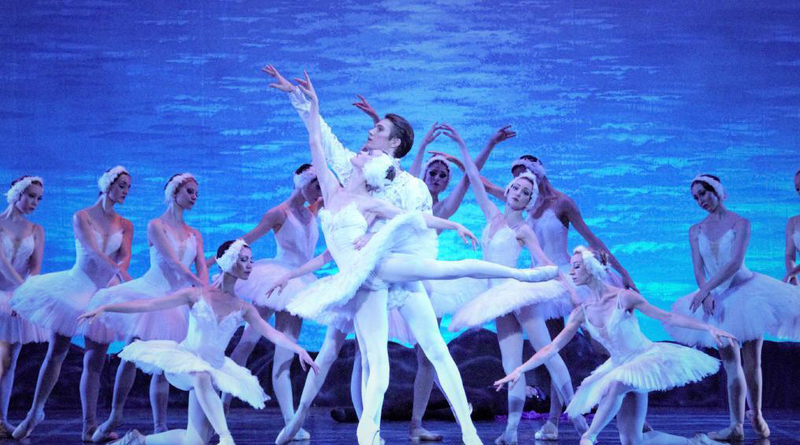 The Moscow Ballet's La Classique perform Swan Lake at The Arts Centre on the Gold Coast. IT’S hard to think about ballet without mentioning Tchaikovsky, the man behind the world’s most enduring and powerful ballets. When Swan Lake premiered in 1877, critics dismissed the score as “too noisy, too ‘Wagnerian‘ and too symphonic”. It wasn’t until a 1895 revival staged by legendary choreographers Marius Petipa and Lev Ivanov that the work would begin to have such an influence on the ballet evolution - it even continues to inform most modern productions. Moscow Ballet La Classique principal dancers. SCENE1: The Garden of Prince Siegfried’s Castle. SCENE2: The Lakeside by Moonlight and the appearance of the evil genius, Von Rothbart. ….Just a note to thank you so VERY VERY much for the most wonderfully BRILLIANT performance of Swan Lake this afternoon (25th March2017)! This show was absolutely SPECTACULAR and the Moscow Ballet need high Kudos and lots of Bravos for their enthrallingly magical performance! Our tour group just loved it completely to bits and can’t wait for their next show, whenever that will be - we definitely will be buying tickets there! ….. Just thought I’d give you some feedback about the show last night. I thought it was one of the best performances I have ever seen. Dancing was brilliant and the scenery and special effects were wonderful. Now I’m looking forward to The Nutcracker next year. ……I took my 95 year old Mum to Swan Lake on Monday night. It was spectacularly awesome! Seeing Swan Lake was on my Mum's bucket list. I've ticked that off for her. ……It was so wonderful to be in the audience at DRTCC last night and watch Swan Lake by Moscow Ballet. It was even more wonderful to have a performance of this calibre and magnitude locally. Thank you to Linda Christof and team for sharing this magic with local audiences. I have loved hearing all about it from our dance students fortunate enough to get tickets. It was certainly inspirational. - Rikki Slacksmith (Dance Teacher). ……The production of Swan Lake was brilliant and thank you to the manager for bringing such a superb show to Dubbo. Thank You For The Magnificent Swan Lake! 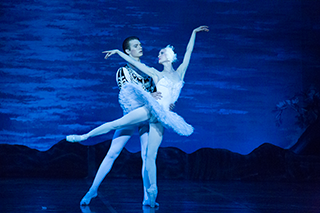 Just a note to thank you so VERY VERY much for the most wonderfully BRILLIANT performance of Swan Lake this afternoon (25th March)! This show was absolutely SPECTACULAR and the Moscow Ballet need high Kudos and lots of Bravos for their enthrallingly magical performance! Our tour group just loved it completely to bits and cant wait for their next show, whenever that will be - we definitely will be buying tickets there! Such talent, such elegance, such terrific professionalism in each step! Please give them all my loving thanks and best wishes for their future - I am sure they will make it big anywhere they go! And thanks once again for bringing such great shows like this to your gorgeous theatre. I cant wait to return there to watch yet another brilliant performance in the very near future! 140 YEARS OF SWAN LAKE ! …ANASTASIA CHUMAKOVA WHO DANCED ODETTE HAS AN ETHEREAL QUALITY – AND THOSE ARMS – WHICH MADE HER PERFORMANCE SOMETHING YOU WOULD NEVER HOPE TO UN-SEE. SIMPLY BEAUTIFUL. …BUT THE BALLERINA WHO STOLE THE SHOW OLENA ANTSUPOVA, DANCING IN THE ROLE OF ODILE…SHE WAS COMPLETELY FLAWLESS..THE AUCIENCE GOT THEIR MONEYS WORTH ALONE IN HER.